Hosting a Q&A session on Twitter is an effective way to engage with your online community and grow your following. However, as with any social media activity, Q&A sessions have the potential to go horribly wrong. Pulling off a successful Twitter Q&A takes careful preparation and requires that you have a solid strategic plan in place in case anything goes wrong. Twitter is, after all, unpredictable at best. 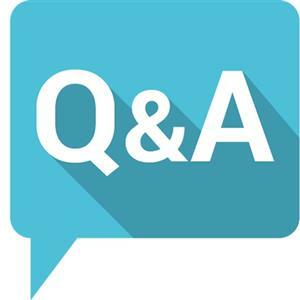 What is a Twitter Q&A?Like any question and answer session, a Twitter Q&A is a less formal way to network, share ideas and express thought leadership. Jacqui Mackway-Wilson, digital marketing consultant and Twitter Q&A host, explains that a TwitterQ&A takes place in two formats. Either one or more hosts asks a question and this is answered by one or more guests, or “it can be hosted by a business or individual with questions post to their target audience who are invited to join in and answer the questions from their own point of view”. “A Twitter question and answer session, or e-chat, is like a press conference, panel or roundtable discussion wherein people present get to post questions to hosts or panellists in a real-time setting,” says Jake Larsen, marketing director at The Social Studio. “In the Twitter case, however, the process takes place online and anybody, from anywhere, can ask the questions,” adds Larsen. How do I set one up?Just like there’s nothing random about a Q&A session with a panel of experts at a convention, there’s nothing random about a Twitter Q&A. They don’t just pop up. A successful Q&A session takes careful planning. “[You need] a good Internet connection and either a laptop, desktop or mobile device from which to work,” says Mackway-Wilson. This may seem elementary, but holding an online event requires functional, reliable technology. The best way to avoid disaster is to cover all your bases with as much planning as possible. Mackway-Wilson says your planning should include inviting guests ahead of time and briefing them on the chat rules and goals. Looking for additional social media help? We can help! We offer full-service management of social media platforms, strategy creation. Lear more about us- Digital Marketing Agency. What's happening at The Social Studio?